Jennifer Pinck, founder and president of Pinck & Co.
for transitional housing -- including a separate and secure dormitory for females. 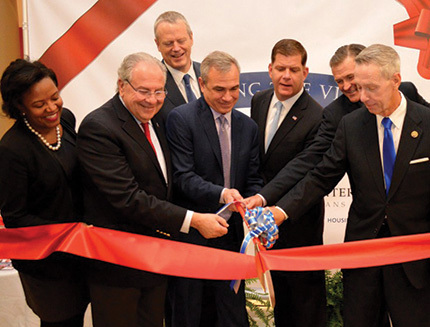 Boston, MA After three years of planning and two and a half years of construction, the New England Center and Home for Veterans (NECHV) held a ribbon-cutting ceremony marking the completion of the facility’s $35 million reconfiguration and renovation on 17 Court St.
Pinck & Co. was project manager for the extensive renovation, working with architect Tise Design Associates and construction manager Consigli Construction to provide the center with 37 new permanent apartments, 60 renovated units, and 180 new beds for transitional housing -- including a separate and secure dormitory for females. 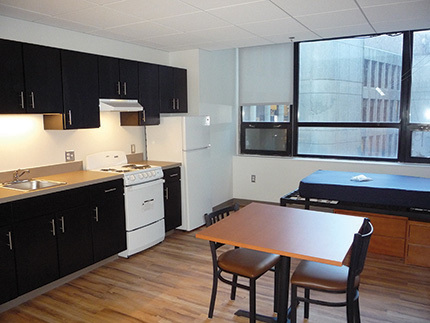 Approximately 65,000 s/f of newly renovated space was created for education, employment, clinical, housing, and critical support services. NECHV president and CEO Andy McCawley said when he approached Pinck & Co. with the idea to expand the facility, their team proposed several innovative solutions. 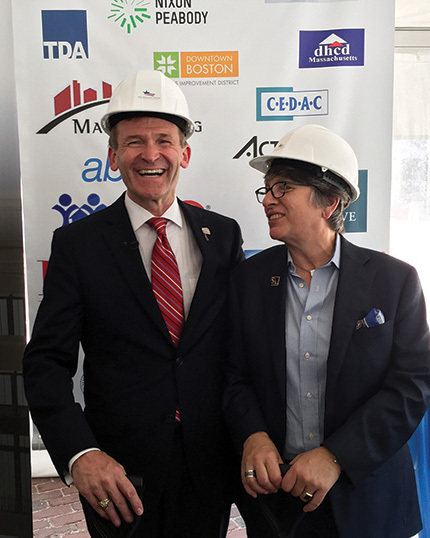 They conceptualized a larger, more inclusive project scope that would address the center’s complex construction challenges while reconfiguring the facility to best incorporate housing, living spaces, programs, and services. Pinck & Co. also helped identify state and federal funding resources, which made the complete renovation possible. 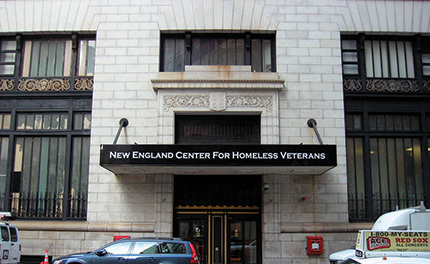 The NECHV site is comprised of two adjoined buildings: the four-story Old Colony Trust Company Building, constructed in 1908, and a 10-story addition that was built in 1925. This presented another challenge: maintaining the historical integrity of the building. “The project was financed, in part, by state and federal historic tax credits, which required us to preserve the historical elements of the building,” said Pinck. She also pointed out the project required the use of green construction methods, resulting in a sustainable and energy-efficient facility. Structural and building repairs and improvements were also needed throughout the center. This included upgrading and adding elevators; new sprinkler, plumbing and fire alarm systems; extensive electrical and mechanical upgrades, and modifications to make the building handicapped accessible.